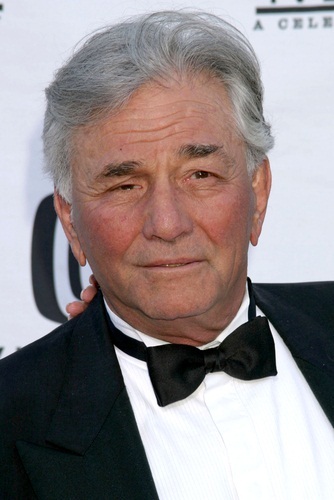 Peter Falk was an American actor. He is known for his role as Lieutenant Columbo in the series Columbo. Peter was the son of Madelyn/Madeline/Magdaline (Hochhauser) and Michael Falk. His parents were Jewish, and were born in New York. His ancestors were Jewish emigrants from Russia, Hungary, and then-Bohemia. Peter was married to actress Shera Danese, until his death. He had two children, who were adopted, with his former wife, Alyce Mayo. Peter’s paternal grandparents were Louis Falk and Ida Miller. Louis and Ida were Russian Jewish immigrants. Peter’s maternal grandfather was Peter Hochhauser (the son of Israel Mendel/Mendal Hochhauser and Esther Englander). Peter’s grandfather Peter Hochhauser was a Hungarian Jewish immigrant. Israel was the son of Meir Hochhauser. Esther was the daughter of Guddel Englander and Chaya Hochberg. Peter’s maternal grandmother was Rosa/Rose Heller (the daughter of Jacob Heller and Hermina Hirsch). Rosa was a Czech Jewish emigrant, from what was then Bohemia.